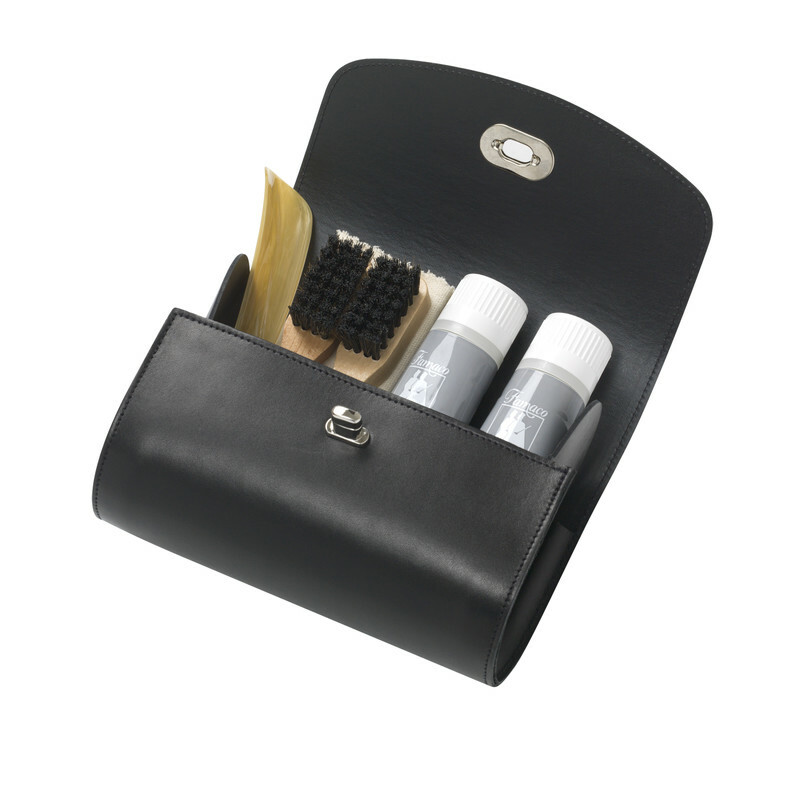 Famaco infuses luxury and tradition with their stunning range of Shoe Care Kits. A twist on the classic box design, Famaco radiates elegance from the style and design, to their renowned products and accessories inside. Indisputable quality products and incredible results, this 6 Product Assortment takes pride of place in only the best shoe shops and repairers.